Jede der in dieser Studie bucharisch-jüdischer Geschichte vorgestellten autobiographischen Erzählungen ist einzigartig. In ihrer Zusammenstellung ergeben die Erzählungen und Analysen eine umfassende Einführung in die Geschichte und Mobilität der Bucharischen Juden im 20. Jahrhundert und ermöglichen dem Leser so bisher unbekannte Einblicke in die Lebens- und Erfahrungswelten dieser jüdischen Diaspora in Zentralasien, Israel, USA und Europa. Die Lebens- und Familiengeschichten dienen auch als Korrektiv für interessengeleitete Identitätskonstruktionen und für Versuche stark vereinfachte „National“-Geschichten zu konstruieren. The Jews of Central Asia, commonly known as “Bukharan Jews”, have a long, eventful and fascinating history. Today their communities are spread all over the world. After the breakdown of the Soviet Union, we witnessed an exodus of Bukharan Jews from Central Asia to Israel, the United States and – to a lesser extent – to Europe. Since then Bukharan Jewish life has almost vanished in the Central Asian republics of Tajikistan, Turkmenistan and Uzbekistan. Yet the mobility of members of this group is not a new phenomenon, it was also very high before and during the Soviet period. At the end of the 19th century a Bukharan Jewish quarter was established in Jerusalem. Jews from Afghanistan and Iran (and the Emirate of Bukhara) came to and settled in towns of thriving Russian Turkestan. Bukharan Jewish traders and entrepreneurs connected Asian and European markets. In the 1920s and early 1930s, before the Soviet southern border was finally sealed, about four thousand Bukharan Jews fled from the Soviet Union to Palestine via Afghanistan and Iran. Legal emigration started in the early 1970s and intensified in the late 1980s. At the same time Bukharan Jewish mobility within Soviet Central Asian was high. Bukharan Jews followed the Soviet progress and moved on to Tajikistan, Kasakhstan and Kirghistan and founded new communities there. 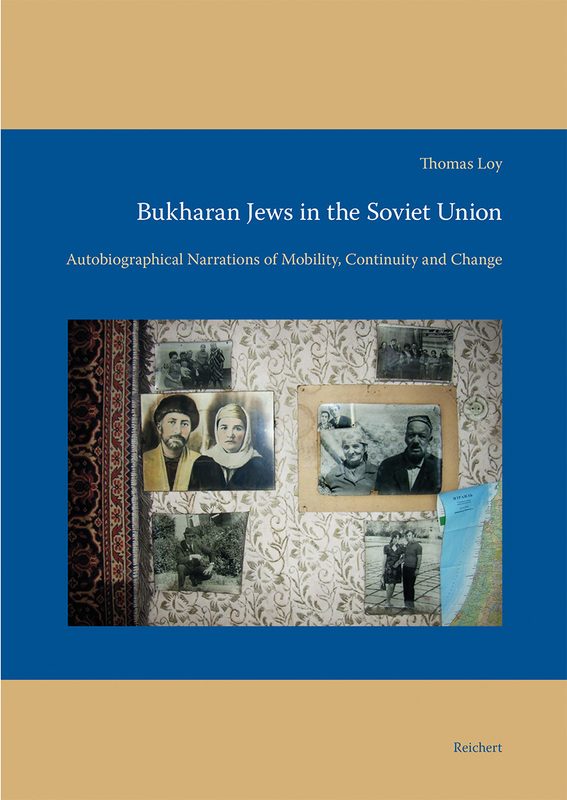 Based on autobiographical narrations recorded in Central Asia, Europe, and Israel this study aims at a deeper understanding of the history, the individual trajectories and the cross-border migrations of this Jewish diaspora group in Soviet Central Asia and beyond. Each of the autobiographical narrations presented in this study on Bukharan Jews is unique. Seen collectively, they amount to a comprehensive survey of Bukharan Jewish experiences in the twentieth century, enabling the reader to gain deep insights into the varied lifeworlds and mobility of this community in Soviet Central Asia and beyond. The case studies and narrations of Bukharan Jewish pasts presented in this “oral history” will also serve as a corrective for interest-based identity constructions and attempts to oversimplify and unify ‘national’ histories and therefore contributes to a better understandeing of Soviet- and Central Asian history and society.